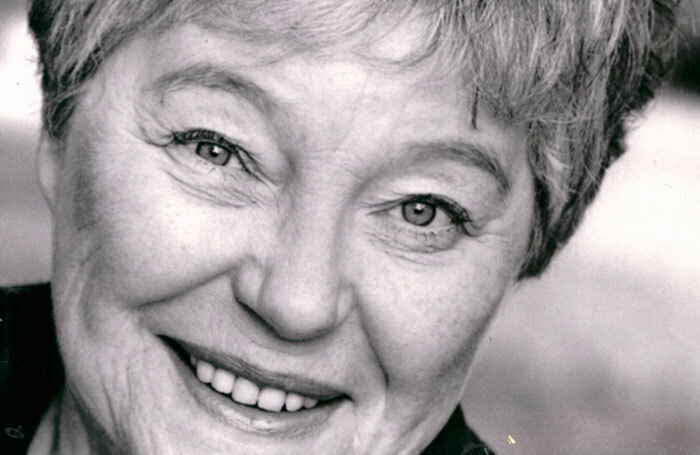 Although television came to dominate Rosemary Leach’s career, she never abandoned the stage, maintaining a profile in regional and fringe theatre and winning a Society of West End Theatre (now Olivier) award for Helene Hanff’s 84 Charing Cross Road at the Ambassadors Theatre in 1981. For a sustained period from the 1970s onwards, she seemed a permanent fixture on the small screen, having first come to attention as Annie in John Arden’s Serjeant Musgrave’s Dance and tycoon’s mistress Susan Weldon in The Power Game in 1965. Born in Delbury, Shropshire, she trained at RADA alongside Albert Finney and Alan Bates but claimed on leaving that she had learned nothing of practical use to her. After a brief spell in regional reps and with Caryl Jenner’s Mobile Theatre, she spent a season with the Belgrade Theatre, Coventry – where she was seen as Cissie in the premiere of Arnold Wesker’s I’m Talking About Jerusalem, the last of his Chicken Soup trilogy, in 1960. Seasons with Birmingham Rep and at the Liverpool Playhouse followed, before television interrupted her stage career. Despite the demands of filming, she was seen as Blanche in Tennessee Williams’ A Streetcar Named Desire (Everyman Theatre, Cheltenham, 1972) and was nominated for a SWET award as Vera in Alan Ayckbourn’s Just Between Ourselves at the Queen’s Theatre in 1977. The little Shakespeare she played included Rosalind (As You Like It) at the now-gone St George’s Theatre, Tufnell Park, in 1979 and the Widow of Florence (All’s Well That Ends Well) and Emilia (to Bob Hoskins’ Iago and Anthony Hopkins’ Othello) in the BBC TV Shakespeare cycle in the early 1980s. She followed her success in 84 Charing Cross Road with Robert Holman’s Other Worlds (Royal Court Theatre, 1982), a 1985 tour of David Kelsey’s musical Gert ’n’ Daisy as the popular entertainer Doris Walters, and Lady Undershaft (George Bernard Shaw’s Major Barbara) at Chichester Festival Theatre in 1988. In 1993, she was nominated for an Olivier award as the censorious Mrs Railton-Bell in Peter Hall’s revival of Terence Rattigan’s Separate Tables (Albery Theatre) and was seen as a cantankerous, self-pitying Mrs Bramson in Emlyn Williams’ Night Must Fall (alongside the controversial casting of Jason Donovan in his first non-musical role) at the Theatre Royal Haymarket in 1996. Later stage work included two imposing matriarchs: Penelope in Rosamunde Pilcher’s The Shell Seekers (King’s Theatre, Glasgow, 2004) and Big Mama in Williams’ Cat on a Hot Tin Roof on tour in 2006. On television, she moved effortlessly between comedy and drama, popular successes including playing wives to Ronnie Corbett in three separate programmes beginning with No, That’s Me Over There (1967) and Derek Nimmo in Life Begins at Forty (1978-80). More recently, she was Robert Lindsay’s interfering mother-in-law in My Family (2003-07). Among notable drama appearances were the BAFTA-nominated Marcelle in the 13-part adaptation of John-Paul Sartre’s Roads to Freedom (1970), Queen Victoria in Disraeli (1978), Aunt Fenny in The Jewel in the Crown (1984) and as a vulnerable widow who falls for Nigel Havers’ conman in The Charmer (1987). On film, she received her fifth BAFTA nomination (none of which translated into awards) as Mrs Honeychurch in Merchant Ivory’s 1985 version of EM Forster’s A Room With a View. Rosemary Anne Leach was born on December 18, 1935, and died on October 21, at the age of 81. She was twice married – to the director John Waugh and the actor Colin Starkey, who survives her.